Yay! Playgroup is back!! Soooooo much has happened in the eight weeks since we last had playgroup, and I’ll tell you about that soon, but for now … Lavendilly Sunshine Playgroup is back!! Hooray! I can’t say how much my heart fills with joy when my house is filled with these beautiful people. Children and adults alike, I love them all and they are an important part of my life. How fortunate for us that Valentines Day falls at the beginning of term. Valentines is not a big celebration here in Australia, not like it is in North America … I remember my grade four class in Canada around Valentines Day. Writing everyone cards and letters was serious business! 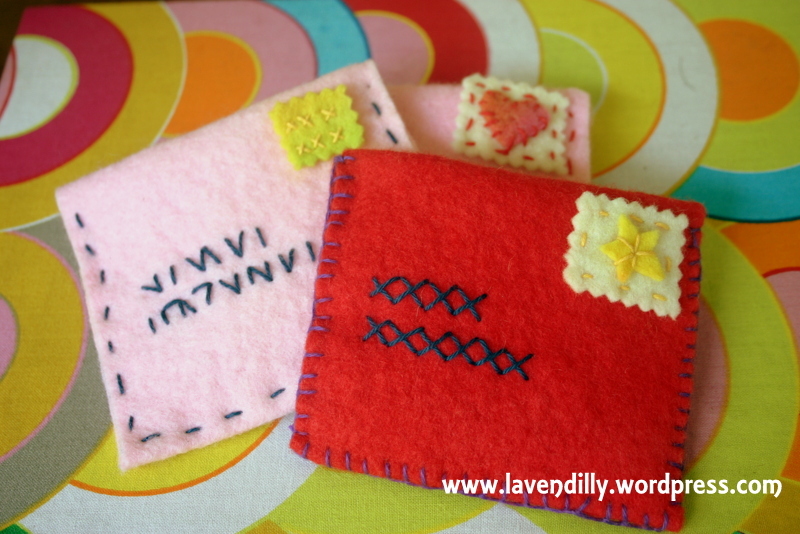 Today we made little felt envelopes. They are not new. 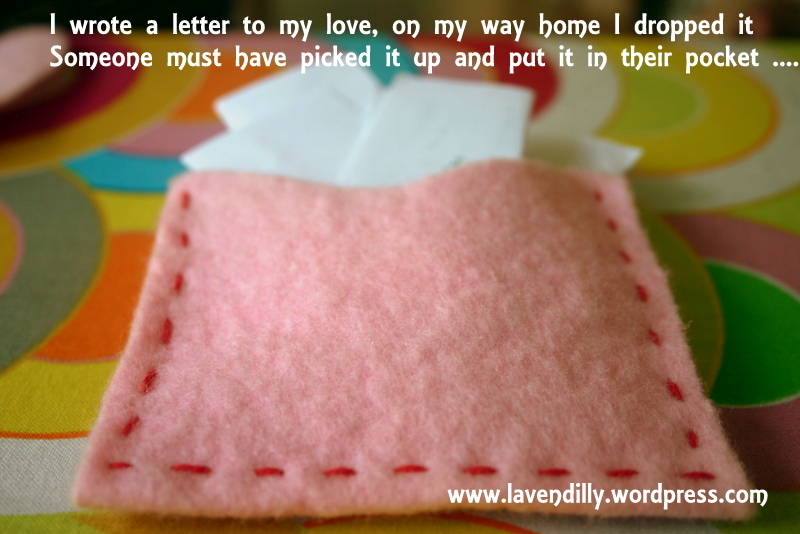 They pop up on blogs everywhere around Valentines Day, and I’ve made them before in my teaching days, and children love to have them in the home corner to post each other letters. Today, however we filled them up with essence statements about each other. Essence Statements are something we use often in our work at Sacred Essence. A gift to another person to share something you’ve noticed about them, a kind observation, a reminder of their special qualities, a summary of something you just heard them speak about. They are not always messages of love, sometimes they are reflections of us. We forget our own special gifts sometimes! The morning was spent in happy stitching and chatting and playing, and while the children were eating their playgroup bread the adults fell quiet, thinking of and writing their essence statements for each other. Valentines Day need not be a big showy affair (although every now and then that’s really nice!!) I feel nurtured and strengthened by the essence statements gifted to me today. I must say it was pure pleasure to see my little envelope filled with messages of friendship and love from my people. Even more so – the quiet moment spent with a cup of tea, reading through them while my little one slept beside me. 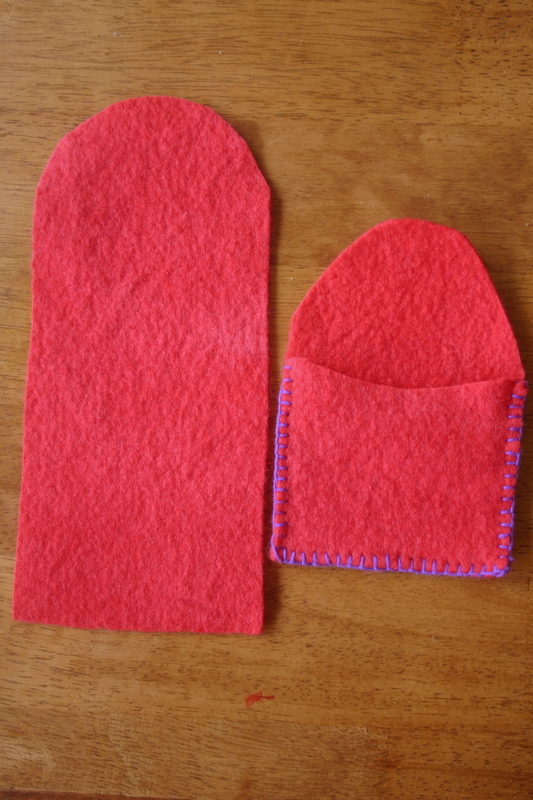 We made them with a single strip of felt, rounded at one end, folded into thirds and stitched on three sides. 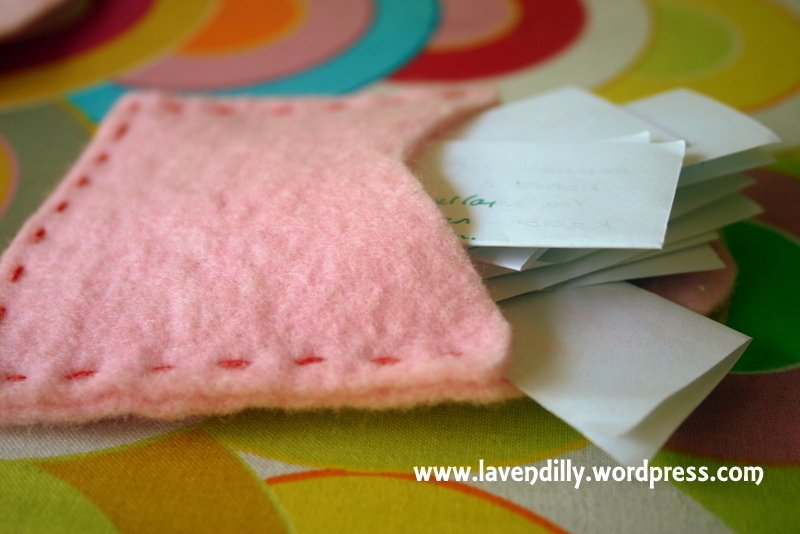 The rounded end becomes the flap and it can be tucked inside the envelope. Every one made theirs the way they wanted to … some with more decorations than others. As individual as the people who made them. We all had fun cutting out stamps with the pinking shears and stitching those on too … I chose to put an ‘address’ on in symbolic stitching. As an early childhood teacher, early literacy in children’s playthings is important, but literacy development also happens when we play with symbols and behaviours that surround literacy … for two-year olds, some lines that look like letters on an envelope serves the purpose, and their own writing fills the letters inside. Play and imagination leads to a love and interest in literacy … and that is as important as the letters themselves. As soon as my kids came home from school (yes! There are two of them at school now!) This one started making an envelope for herself. She is five. 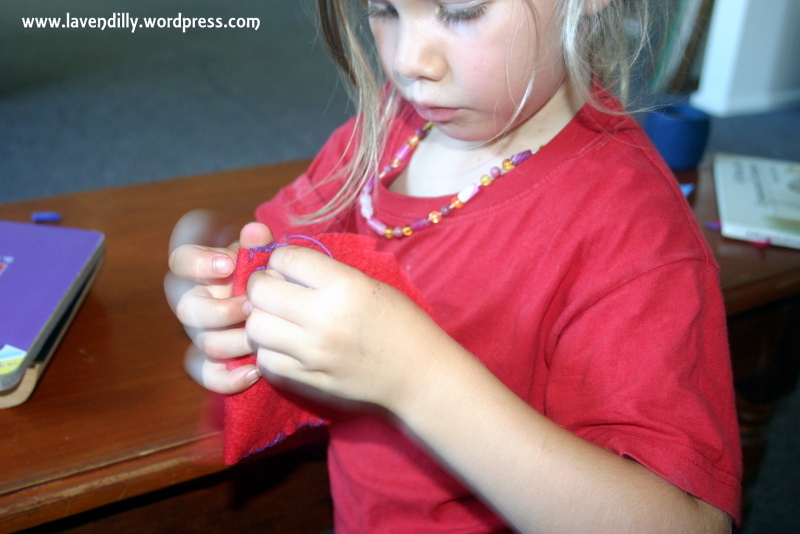 Her eight-year-old brother got her started and the rest she has done on her own. Her brother is making letters to go in them. A perfect team. Love simple crafts. I like your crafts ideas.